OUKITEL has brought wireless charging to the sub-US$200 smartphone market with the U23. Read on to find out what other features the Chinese manufacturer has packed into this budget midrange device. 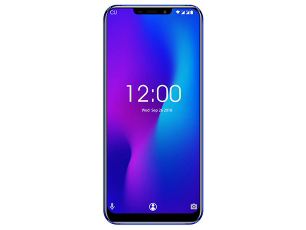 Oukitel U23 is the smartphone with the cheapest price. it gives you the smooth performance with 6GB of Ram and you can easily store more data by 64GB of storage. It also has the Notch screen. Dual cameras will allow you to use the Bokey option really well. You can easily buy this from clicking here on price. Gearbest with $219.99 for other Area version and European Version. So far, the Chinese smartphone brand has been quite unknown outside of China. There are only a few reviews and the ratings are below average (as of 2016). 77.65%: This rating is not convincing. The laptop is evaluated below average, this is not really a recommendation for purchase.